Bologna is packed with attractions, but anyone who sticks to the city is missing out on under-the-radar, must-see locations. 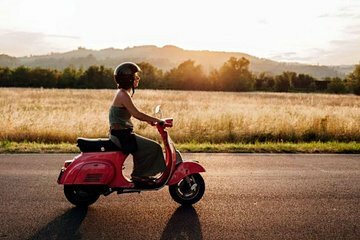 Get a taste of the countryside—without any trekking or climbing—on this fun-filled Vespa ride through the Italian hills. Hop a vintage moped and cruise between locations with your guide. Stops include a panoramic view over Bologna, a WWII memorial, and the Sanctuary of San Luca.